Lynton was the dynamic force behind Excel Drive School’s entry into the Sydney market. His exemplary communication skills & inter-personal skills enables him to impart his vast wealth of industry knowledge & experience to his students of all ages & backgrounds, providing top quality, professional driving lessons. Learning to drive safely & efficiently takes much more than learning car control skills, road rules and passing a driving test. Learning to drive demands developing the right attitude & skills to be a safe driver for life. Passionate about teaching road safety Lynton is committed to training responsible, safe drivers & teaches his students to drive for life with all that this entails. He applies the necessary empathy & sympathy required to bring out the best in his students - younger & older. 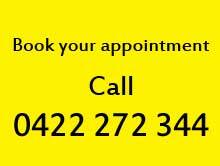 Choosing a driving instructor could be one of the most important choices you may ever make. The manner & style of driving instruction received by you will shape your attitude to road safety & will contribute to you staying alive on our increasingly busy roads. Almost anyone may learn to drive, but unfortunately not everyone is trained to drive safely - when you drive safely, all other road-users sharing our roads with you, will be safer due to your own safe & efficient driving. City Driving, Narrow Lanes, Tunnels, Bridges, Merging & Lane changing, Highways, Freeways, Trucks, Buses, Bicycles, Parking, Night driving, etc., etc. Lynton’s approach will change your life. He respects your reality associated with your phobias. 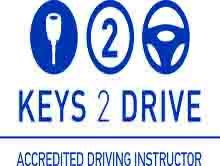 A member of the Australian Driver Trainers Association, A1 Driver Training remains committed to training RESPONSIBLE SAFE DRIVERS FOR LIFE with excellent results.